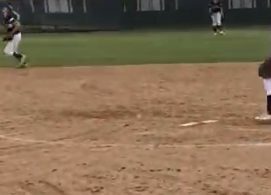 Sylena Peterson appears to float while the ball gets away. 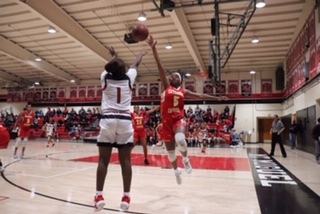 SPRING VALLEY – A girls basketball main event took place Saturday night in Spring Valley, as the top-ranked Cathedral Catholic Dons defeated the fifth-ranked Mount Miguel Matadors, 74-50, in a matchup between two of the top teams in the county. It was a tough night for the Matadors (4-1), who, along with giving up a lot of size to a good Dons team, had a terrible shooting night. 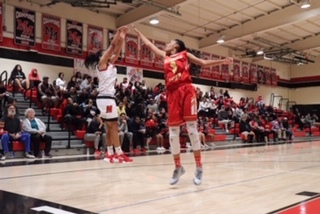 Mount Miguel’s Michele Corley lets a shot fly against Cathedral Catholic on Saturday. Senior sharpshooter Citlalli Gurrola made just two three-pointers. Senior Tiaja Bennett was rejected at the rim numerous times. 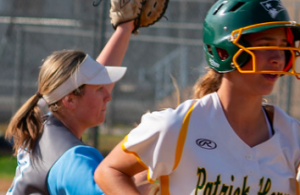 The Dons’ size and defense kept the Matadors’ offense in check for most of the game. Sophomore Syleena Peterson had her least productive game of the season, scoring just 12 points without making a single three. With Peterson struggling, Cathedral built a 40-24 lead in the third quarter. It seemed like the game was out of hand as Peterson went to the bench for a breather. That’s when the Matadors went on a 12-0 thanks to junior Nyssa Maga and the Matador defense. After the Matadors cut the lead to 40-36, the Dons (3-3) went on an 11-3 run and pulled away from Mount Miguel to finish with a dominating victory. 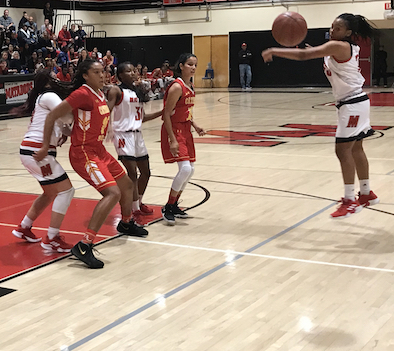 Senior Michelle Corley led the Matadors in scoring with 16 points, maybe the only bright spot for Mount Miguel Saturday night. Mount Miguel puts up a shot against Cathedral Catholic on Friday night. The Dons dominated the Matadors on the boards. They were nearly impossible to defend when posting up in the paint. Mount Miguel’s lack of size was just too much to overcome on this night. 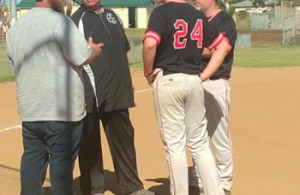 Coach Sandoval, who every year has high expectations for the Matadors, still has his sights set on an Open championship this season. Anything less would be a disappointment. “We’re always going to shoot for the open. We’ll be ready to go,” Sandoval said. “We’re licking our wounds and we’ll be back at it on Monday.